Homeowners in one water district have been complaining about pinhole leaks in their copper pipes for at least a year, but the cause of these tiny leaks remains a mystery. After fixing one leak in her kitchen, Plainview resident Rita Wein noticed another leak in the hallway. "Six weeks after it was done, there was another leak over here, so that’s when we became proactive after that and took down the entire ceiling here,” she said. The process of opening up walls, ceilings, and then replacing pipes can be costly. The Weins have spent thousands of dollars. And this is just one home. NBC 4 New York's I-Team has spoken to many residents who receive water from the Plainview Water District who have also experienced pinhole leaks. It’s estimated there are more than 200 homes affected. But now the commissioners are taking a new look at the water itself. What's Next for Embattled Build It Back Program? 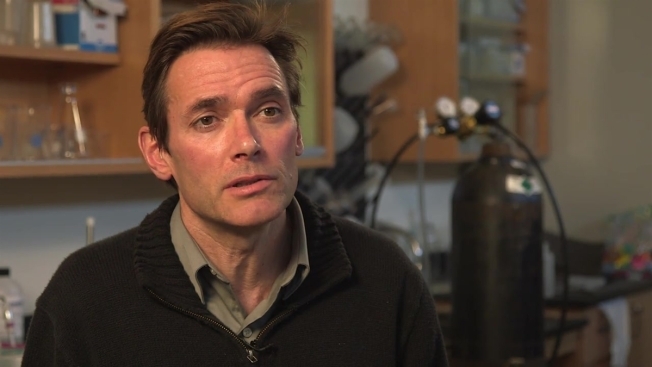 Virginia Tech professor Marc Edwards, a leading authority on copper pipe corrosion who exposed lead in the water in Flint, Michigan, said corrosive water is almost always the cause of an outbreak. "We've shown in really bad waters the pipes can be destroyed in as little as six months," said Edwards, who has been able to recreate pinhole leaks in a laboratory. Edwards says the leaks happen when chlorinated water has a high pH and low alkalinity. The I-Team obtained water test results for several districts neighboring Plainview and all had about the same pH level, as required by law, but Plainview had the lowest alkalinity level by far. Edwards thinks that could be a problem. “What we showed in our study, is their water is in a range that can trigger these pinhole leaks,” he said. The water district has said it does not believe the water is to blame because it passes all regulatory requirements, but Edwards says the EPA is only concerned about lead in the water and not concerned about pipes. And for Plainview, there might be a relatively simple fix. “We've reduced the leak rate by a factor of 10 through a very low cost addition of corrosion inhibitor that's used by 50 percent of water companies in the U.S. and it looks like that's the type of inhibitor that could stop the problem in your situation as well," Edwards said. In a statement, the water district says they have discussed the analysis with Edwards and that "at the moment, we are looking at the full range of possibilities. Professor Edwards has presented one opinion on a possible cause and we are certainly looking at that as a possibility, along with others."